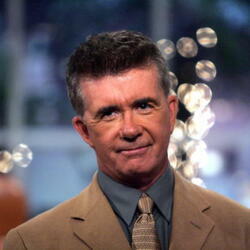 How much is Brennan Thicke Worth? Brennan Thicke net worth: Brennan Thicke is an American voice over artist who has a net worth of $5 million dollars. Brennan Thicke was born in Los Angeles, California, and is the son of Alan Thicke of "Growing Pains" fame and singer, Gloria Loring. He is also the older brother of R&B/pop star, Robin Thicke. He began his professional voice over career in the mid-80s. He voiced the character of Scott Tracker on the animated series, "MASK", from 1985 to 1986. He then went on to voice Dennis Mitchell on the animated "Dennis the Menace" series from 1986 to 1988. He was nominated for two Young Actor Awards for his work. He currently works in California, where he runs the Venice Beach Care Center medical marijuana dispensary, and is heavily involved in medical marijuana political actions. He is married to Katherine "Dolly" Thicke, the head of Dolly Couture. They have one child, who was born in 2008.